The Russian Girls are very superstitious and for that reason there are many traditions and rituals, which will be strange for a foreigner man. So if you travel to Russia to meet a girl, later or early you will notice some superstitious, so we invite you to read here, the most representative and popular superstitions. If you are in Russia and accidentally step on the foot of someone, this person should step you the foot which has stepped him or her. Why they do this? because they thought that these two person will discuss in the future. If you leave a home, and remember that you have forgotten something, no return, because this will bring you bad luck. But if you really need to come back because you forgot something important, you should look in the mirror of that home, before leaving again. Another superstitious, its that two persons must not shake their hands within the framework of a door, i.e., one indoors and the other one in the corridor. You cant give money to another person in his or her hand directly, if you want to have money in the future. So if you want to give money to another person, you must put it somewhere and the other person take it from there. You can see this in Russian stores the cashier have a special dish for the money where collects and give the money. If you are in a house, you cannot whistle indoors, because if you make this, the money will go away from the house. In meetings or meals, a single girl never sits in the corner of a table. Otherwise, she will not marry for 7 years. Salt shed means that there will be a scandal in the family. This superstitions comes from very old times, when salt was expensive and scarce. If you are in a meal with a woman who has put too much salt in the dishes, is because is in love. If you break a dish in a meal, it significance good luck. If you are in a Russian city and you have hiccups, is because someone is remembering you. You cant leave empty bottles in the table, because this could be a signal that in the future the same table will be empty, so in a meal, when a bottle ends, it must be removed from the table as soon as possible. 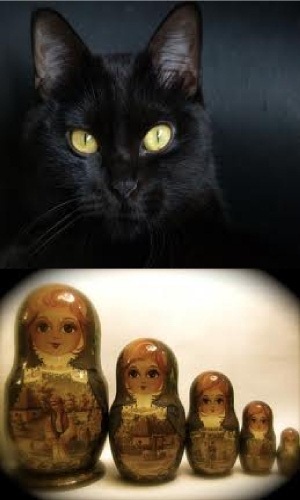 As in many other countries if a black cat crosses the way in front of you, is very bad premonition. If you meet with a namesake, you can make a wish.If you pass under a bridge and at the same time pass a train over this bridge, you can make a wish.